Moving away in your retirement can be a daunting experience, especially when you’ve already become accustomed to living in a certain town, city or village. But, with so many stunning and wonderful places around the UK to experience, it can be tricky to know where the best retirement destinations are. Whether you’re looking for the cheapest places to retire, or you frequently find yourself asking “where should I retire?”, this guide has what you need to make the right decision. Voted as the top place to live in 2018, York has been a firm favourite among retirees for many years. Here, you’re sure to be greeted with local landmarks and places of interest right on your doorstep. 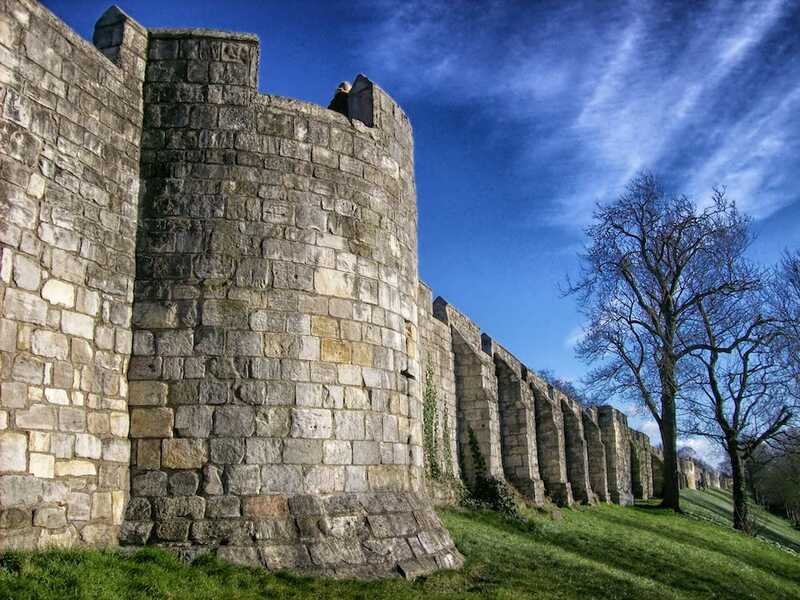 Plus, with a rich cultural heritage and character around every corner — including the famous shopping street The Shambles — York has everything you’ll need for a happy retirement. The city has even previously been voted by the Telegraph as one of the top places to stay active in your retirement, with plenty to see and do in and around the city centre. As one of the most popular places to visit in Britain, whether that’s for a day trip or a city break, there’s no doubt it gets high footfall. However, due to restrictions, the heart of the city is mainly traffic-free so is clean and quiet for the most part. To avoid the hustle and bustle from following you home, opt for countryside areas outside of the city such as Pocklington and Boroughbridge: not too great a distance from the buzzing centre, you’ll negotiate a good balance between tranquillity and liveliness. Heralded for its scenic views and warmer climate, Devon is the ideal spot for those looking to escape the buzz of busy inner cities — and it was even previously voted the country’s top area for retiree wellbeing by Prudential! Devon is popular for the picturesque towns that adorn the coastline, including Torquay, which make it one of the best places to retire in the UK. In fact, there are many notable retiree-friendly areas in every corner of the county. This includes England’s first natural World Heritage Site in the east (the Jurassic Coast), to a combination of city life and scenic views in the south, showing the county’s flexibility to cater for people of all interests and hobbies. Plus, the rural setting of the area makes it a particularly peaceful place to retire to and an easy way to be at one with nature. Although the cost of living in the county of Devon isn’t the cheapest, the beautiful stretch of beaches, the Jurassic Coast and the English Riviera make it a grand place to retire to. Plus, you’ll never be too far from socialisation. With two racecourses to enjoy days out at, as well as many pubs and cafes serving the famous Devonshire cream teas, this is a perfect choice for retirees wanting to strike a good balance between a social and relaxing location. 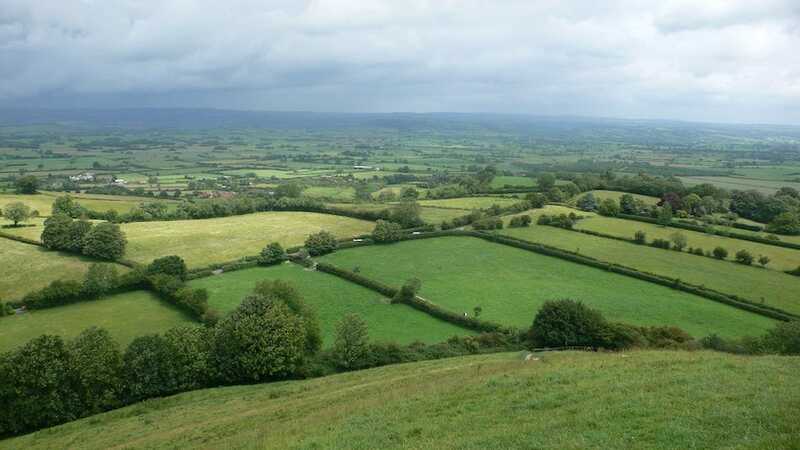 Located in the south-west of England, Somerset is a beautiful county with a varied countryside that makes it an idyllic location for older people looking for a tranquil living environment. In particular, West Somerset is a great option for retirees, with a diverse population and a range of property types available. While on your retirement home search, you’ll be spoilt for choice with both coastal and countryside views available. And, best of all, this area is generally a little cheaper than the surrounding areas, so you don’t have to worry about draining your pension when relocating. If you’re after a place to revel in the beautiful scenic views of England, Taunton Deane is the perfect destination to head to. The rural community is situated in the south-west of Somerset with the popular town of Taunton at its heart. The area is encased by two Areas of Outstanding Natural Beauty, with the Quantock Hills in the north and Blackdown Hills in the south. Plus, it’s well connected with a rail hub and is close to the accessible M5, so transport links are great if you’re expecting family and friends to visit. 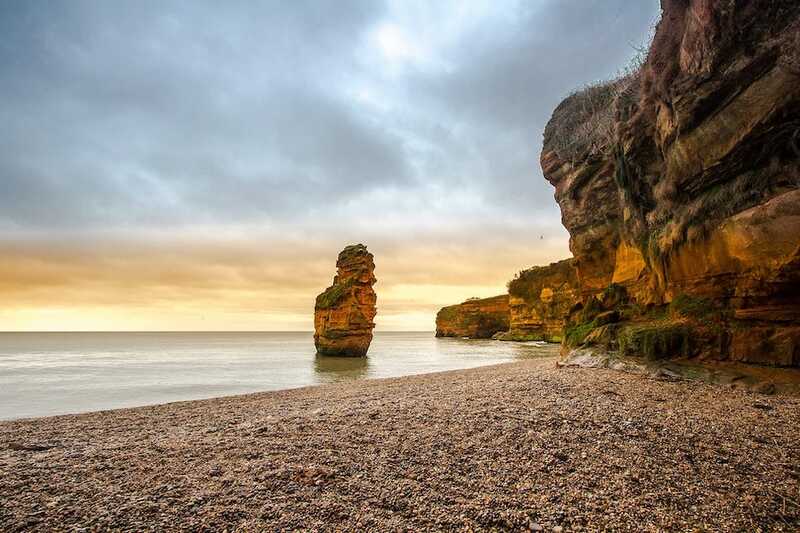 Although Britain’s South Norfolk and East Anglian coasts have been, and still are, popular choices for retirement, it seems the North Norfolk coast is proving stiff competition. It appears that the warmer climates and seaside views are proving tempting to retirees looking to trade in their busier lifestyles for peace and serenity among impressive scenery and wildlife. In particular, Wells-Next-the-Sea is a great location in northern Norfolk which is loved by everybody including retirees. The town boasts plenty of stunning white sandy beaches to wander down, as well as many quaint tea rooms to relax in after your walk. However, if you want to dedicate your new-found downtime to becoming more environmentally responsible, Hethersett in the south may be the best place for you. As a designated green village, the parish council is constantly putting forward initiatives on issues such as excess street lighting, bio-degradable bags and litter. As a county with a good mix of lively and quieter areas, you’re sure to find the perfect retirement spot for you in Norfolk. As well as being full of culture and vibrancy, Scotland also hosts many of the UK’s most affordable seaside towns, as well as being a great place for active retirees looking to challenge themselves while enjoying a variety of beautiful landscapes. If you’re an avid walker who is looking to stay fit and healthy throughout your retirement, Perth may be the place for you. With stunning panoramic views from the Abernethy Glen as well as ground-level delights on the Perth city walk, this’ll be a perfectly tranquil area to retreat to and explore. If traditional-looking towns are your cup of tea, you should think about relocating to Dunfermline. The town is praised for being affordable, as well as being handily located near to the capital, where you can emerge yourself into the buzz of Scotland. And, for those moving on their own, or wanting to engage with other locals, Shetland is ideal. This area has a close-knit community who look out for each other, so you can rest assured there’s always somebody to rely on and socialise with. 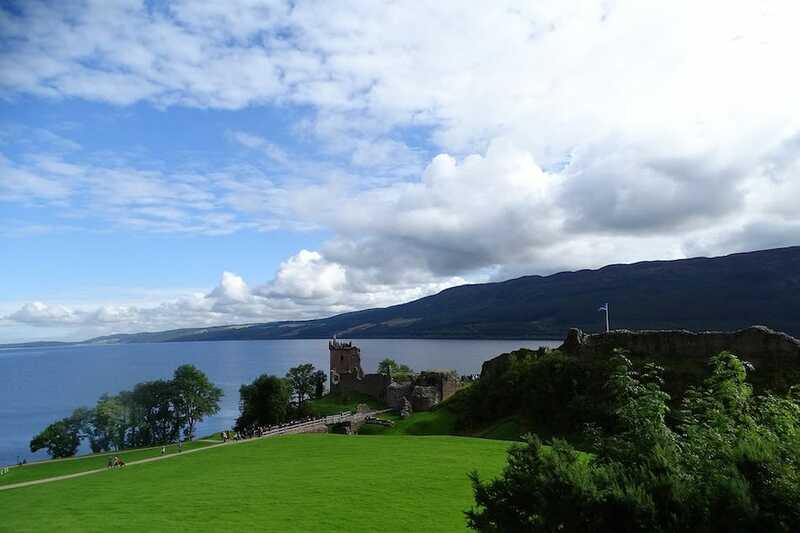 With so much to see and do around Scotland, including visiting landmarks like the Loch Ness and Edinburgh Castle, the city is drenched in culture and history for those retirees looking to keep themselves occupied. And with many perks that you don’t get in other UK regions, including free NHS prescriptions for everybody, as well as free personal care for older people, you can guarantee that this country will be one of the best places to retire to as you grow older. As England’s second-largest county, there’s plenty to explore in Lincolnshire. As well as not being overpopulated, the property prices and cost of living are low in Lincolnshire, so you can save more of your pension for ticking off adventures from your bucket list. This is a dreamily quiet place that has plenty of local amenities available for both visitors and locals alike. 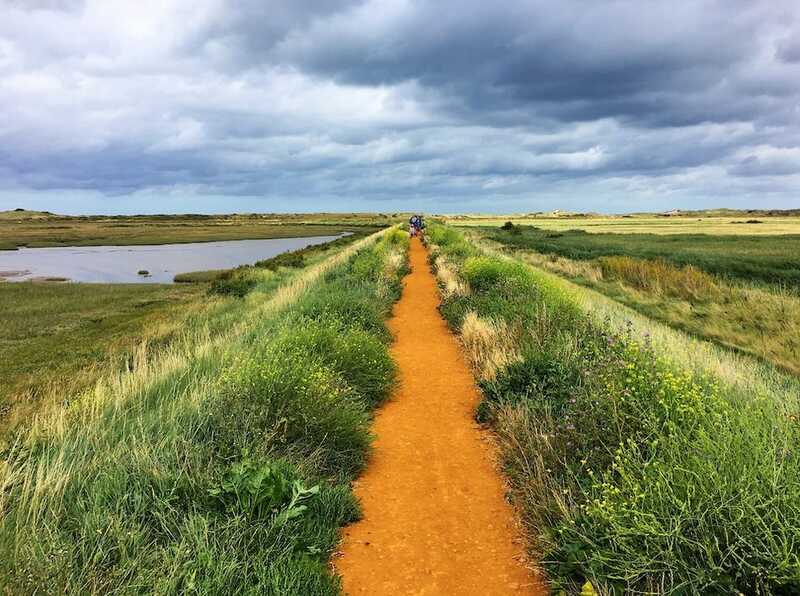 As well as a great selection of restaurants and shops, you can also enjoy seal and bird watching, many annual festivals and events, as well as a huge selection of walks (both leisurely and challenging) to embark upon. If you currently have mobility issues or are keen to prepare for any that many arise, Skegness will be a good retirement spot for you. It’s popular with many, from cyclists to the disabled, due to its mostly flat land. And, for those wanting to enjoy nature and find complete quiet and tranquillity, Spalding trades in bustling city streets for stretches of stunning landscapes and fields of tulips. For the ultimate sleepy town, head to Louth to peacefully admire the beautiful Georgian streets. 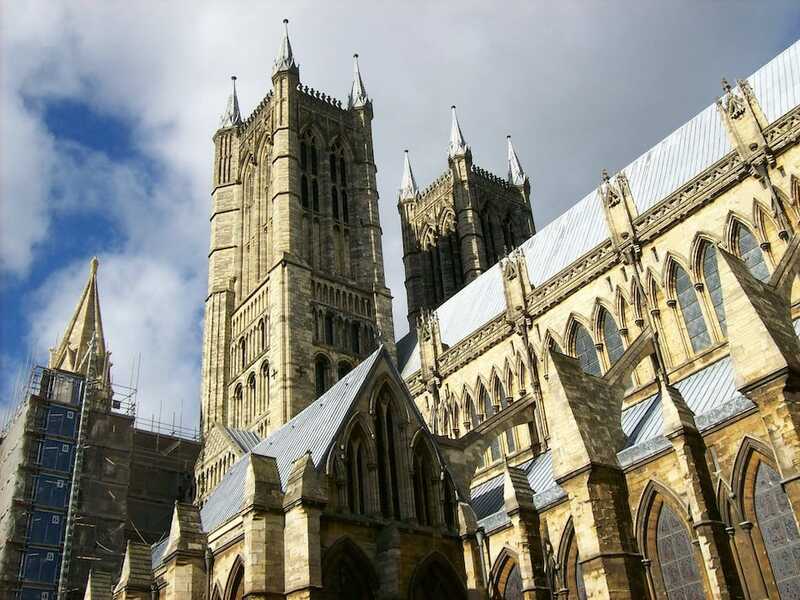 Whatever kind of lifestyle you’re looking to retire to, Lincolnshire has something to offer retirees of all interests and hobbies. Located in the south of Wales, Swansea holds the most beautiful coastlines at the Gower peninsula, making it one of the top places to retire in. There are seaside towns and a large number of parks around the city, as well as many National Trust sites to explore — including the Rhossili headland walk and the Vile long circular walk. With so much scenery to take in and wildlife to admire, this makes the idyllic place for nature lovers who want to relax, especially with the beautiful Swansea Bay on your doorstep. If you’re a fan of literature and novels, you’ll be delighted to find the home of famous writer, Dylan Thomas, as well as an education centre dedicated to his life’s work. Plus, the city is renowned for being a happy place, so if you’re keen to be greeted by friendly faces on your daily strolls, head to Swansea. The North East city is continuously voted as one of the happiest cities in the UK, even ranking as the #1 regional rank for the whole of the North East (Rightmove). 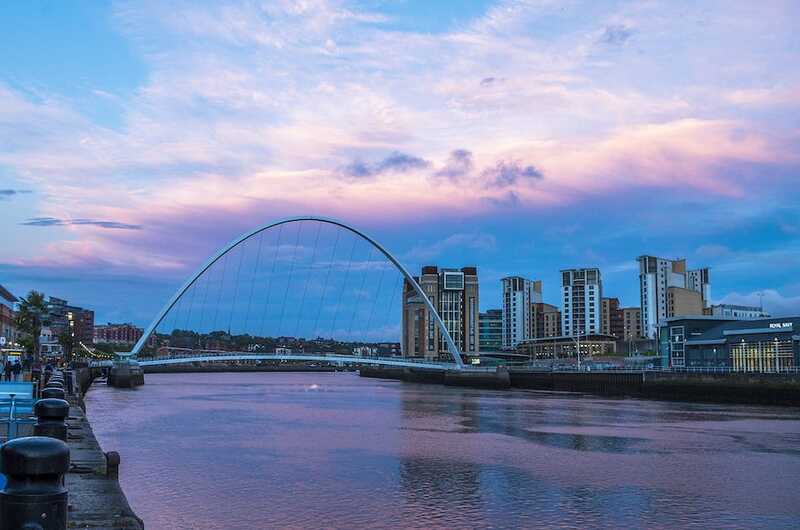 Although it's home to many younger people, due to the universities, the friendliness of locals makes Newcastle upon Tyne one of the best places to retire. With regular events going on; an abundance of independent cafes, restaurants and bars; and many museums dotted in and around the city centre, this is one of the most fun places to retire. Newcastle is also well known for its rich heritage, impressive architecture and beautiful bridges, all of which can be found around every corner. Newcastle City Council even run various initiatives to help support older people or those with health issues, so you can be sure you’ll be well looked after for years to come in this beautiful city. If you’re wanting to be away from the hustle and bustle of the centre, settling in Tynemouth will give you’re the opportunity to enjoy the stunning seaside views all year round. Another benefit of moving to the North East is the lower cost of living, which is rated as 19.22% lower than that in London (Numbeo). So, if you’re looking to relocate somewhere where your money can stretch further, this is the place for you. It’s unsurprising that this beautiful county is one of the best places to retire in the UK, with it being an extremely popular holiday destination. 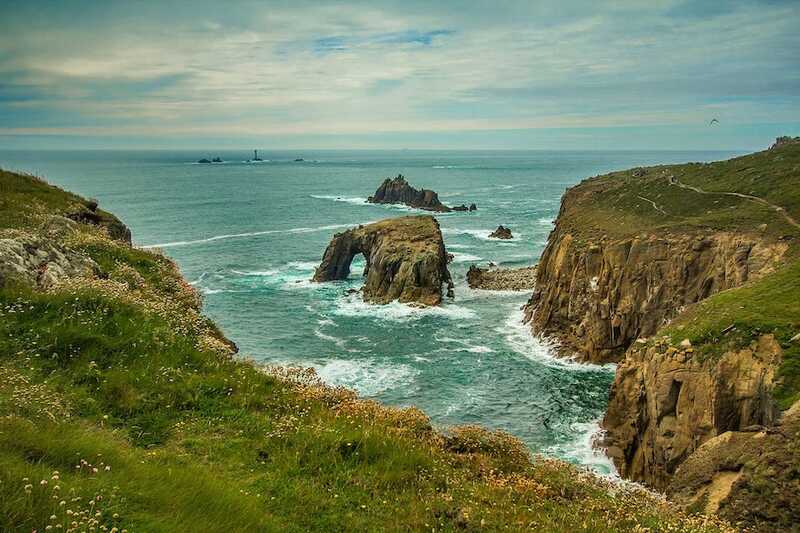 If your reason for moving is to escape the buzz of a fast-paced life, then Cornwall is bound to be a great fit for you. The county is loved for its panoramic views, beautiful beaches and slower pace, giving you the opportunity to take everything in in your own time. But, be aware that slow pace is not synonymous with boring. There is plenty to experience within Cornwall, including iconic attractions like the Tintagel Castle and the Eden Project. There are plenty of Areas of Outstanding Natural Beauty too, and with warmer climates than typical British temperatures, you can spend more of your time relaxing or getting active outdoors. The beaches lining the county also make it a fun place to retire to, as you can seize the opportunity to take up some water sports or relax among the many tourists who pour in during the sunny summer months. We know that accessibility is likely to be important to you in your retirement planning, and with fantastic transport links up and down Cornwall, you won’t have to worry about feeling isolated in your retirement. 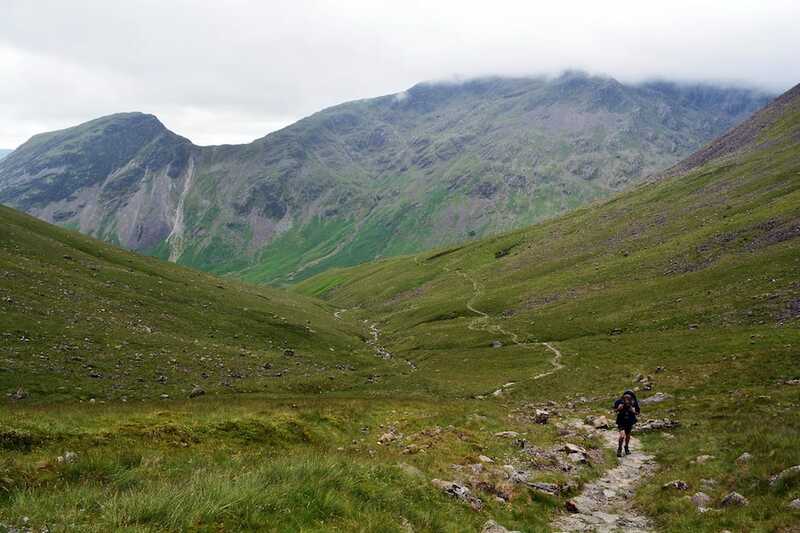 Known as a hiker’s paradise, the Lake District is the perfect place to retire if you’re looking to be at one with nature, particularly as it was named a UNESCO World Heritage site just last year. As the country’s largest National Park and home to the highest mountain and biggest lake, you’ll never get bored of the scenery on offer in your new Lake District home. Due to the high tourism footfall, the park works to make the area as accessible as possible with routes branded ‘Miles without Stiles’ dotted around, to ensure everybody can experience the natural beauty that the district hosts. If you’re looking to move to a place with impressive eateries and bars on offer, you can become regulars at any of the four Michelin-starred restaurants and hotels including L’Enclume, Holbeck Ghyll and the Drunken Duck Inn: all offering the ultimate fine dining experience. Despite being one of the UK’s most loved treasures, the cost of living in the Lake District is generally inexpensive, with Zoopla showing a fall of 0.49% in house prices over three months (July 2018-October 2018). So, you won’t have to part with excess cash to live in this beautiful place. Retirement is a time to do what you’ve always wanted to, whether that’s pick up a new hobby or to sit back and relax. You might even use the opportunity to leave your current location and head somewhere new. No matter if you’re on the search for a fun place to retire or trying to locate the cheapest places to retire, this guide has a solution for retirees of all interests.